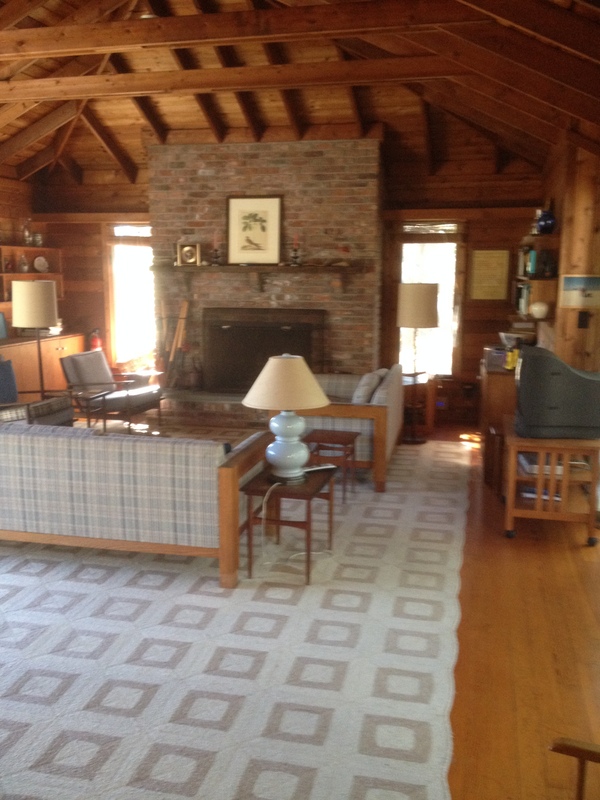 When my friend asked me to help her refresh the living room of an old family Fire Island home, I jumped at the chance. 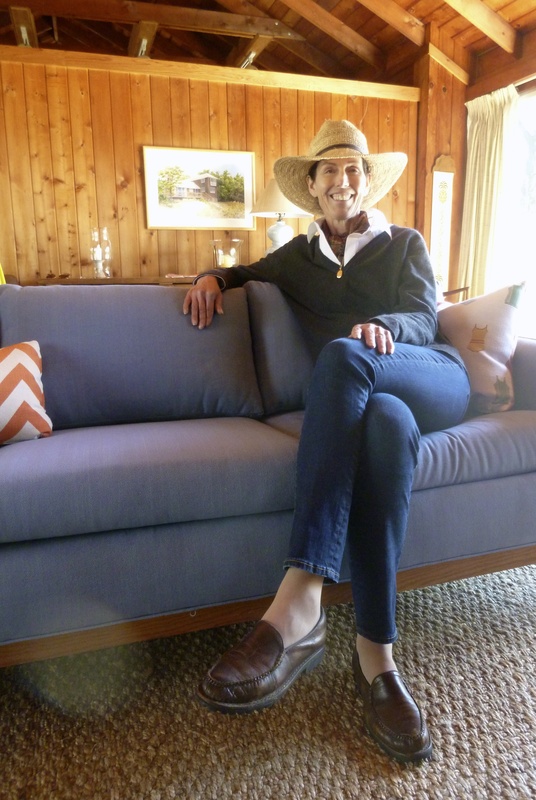 The house has been in her husband’s family for years and just passed into their hands. There were a few tweaks she wanted to make, but in a way that would not rock the boat with their extended family. It was very important to her to make any changes slowly. 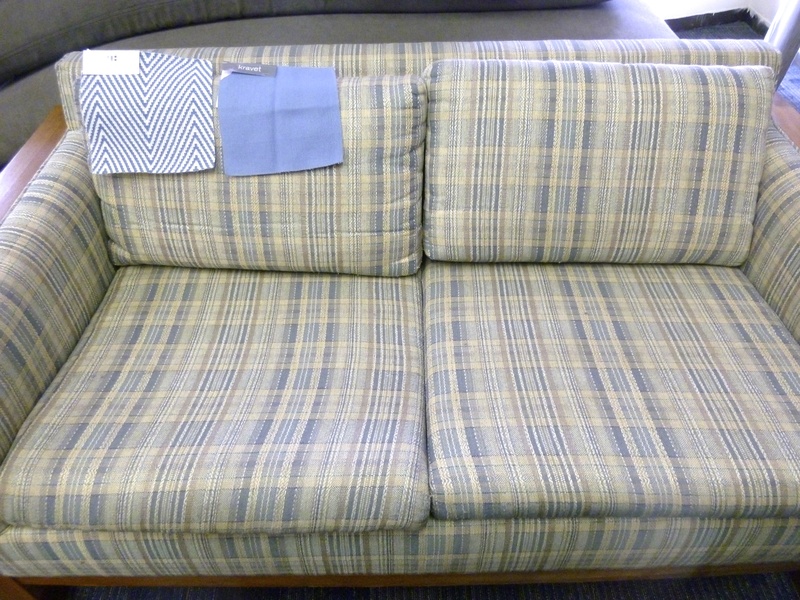 There were two plaid couches and four blue chair cushions she wanted to recover. 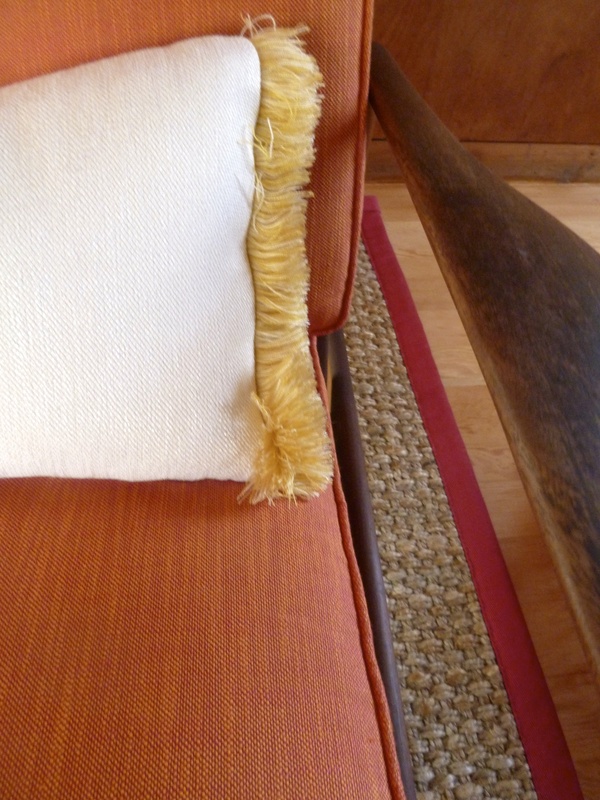 New pillows to bring a punch of color into the room were on the list, as well as a new rug. A rug that would hide sand, footprints, dog hair, food ~ you know, everything! 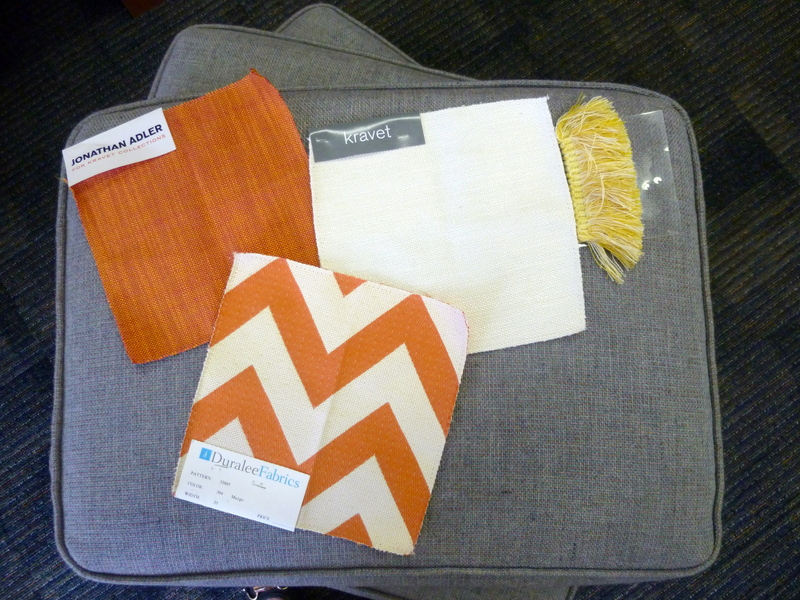 We started by picking fabrics. She brought her husband along to help, especially since it was his family home. 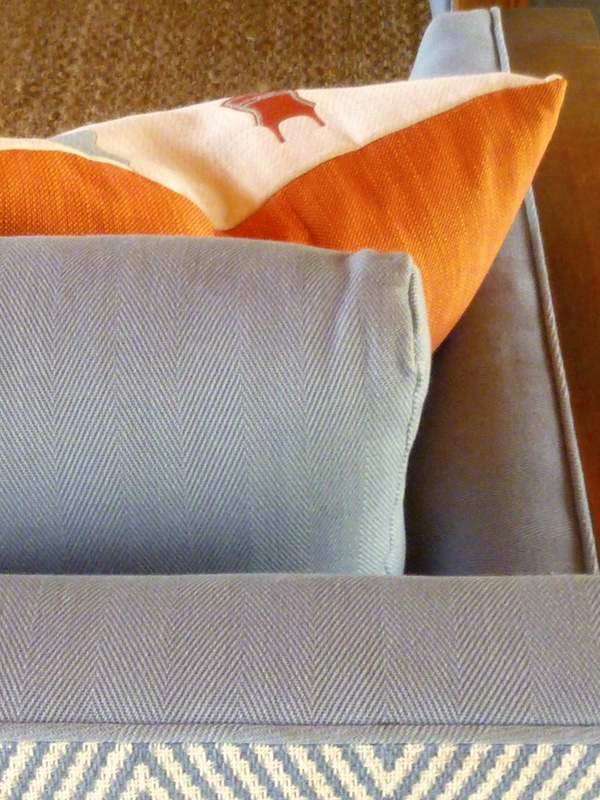 He liked blues for the couches (beachy), orange Jonathan Adler for the chair cushions (bright). 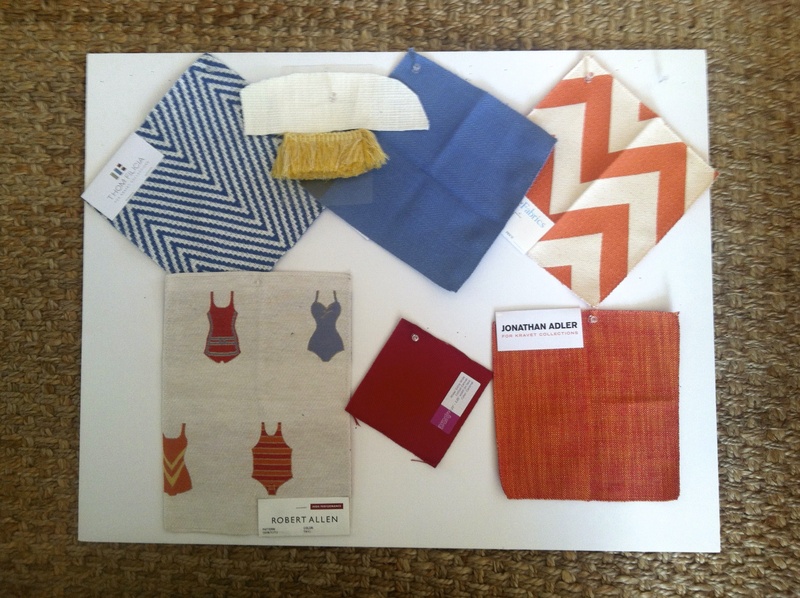 They both agreed on bathing suits from Robert Allen, an orange chevron pattern from Duralee and a Kravet cream fabric with yellow brush fringe for all the pillows. 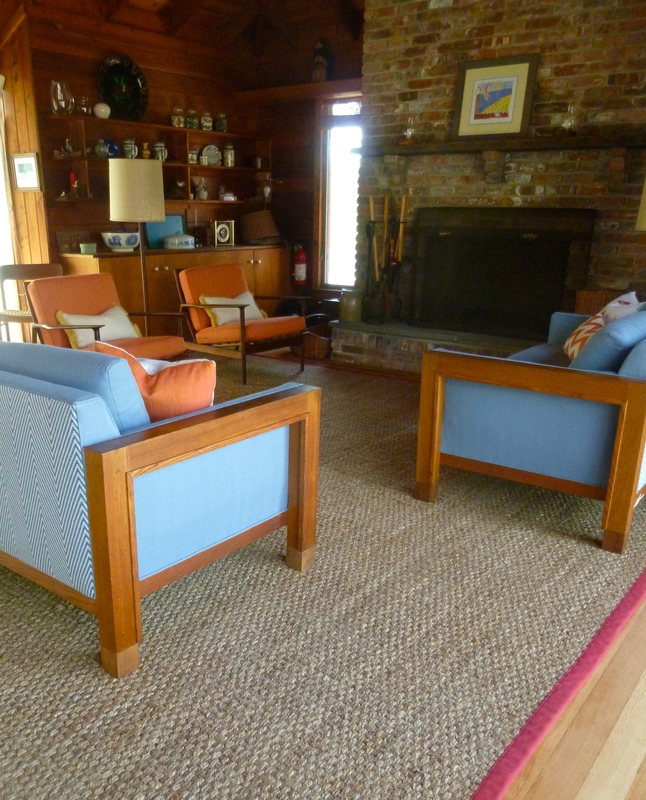 A natural jute rug with a Cardinal red binding from Curran took the place of an old geometric rug. 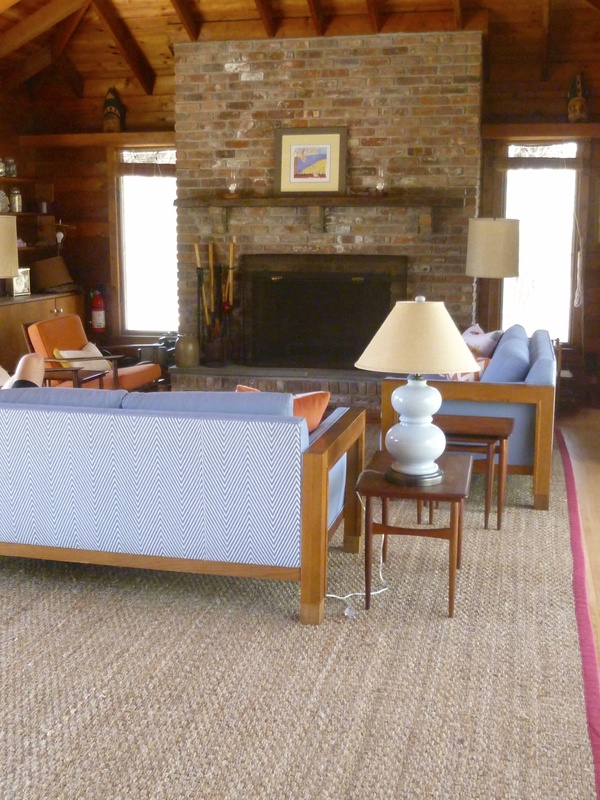 I have the same jute rug in our family room and it hides a multitude of sins. 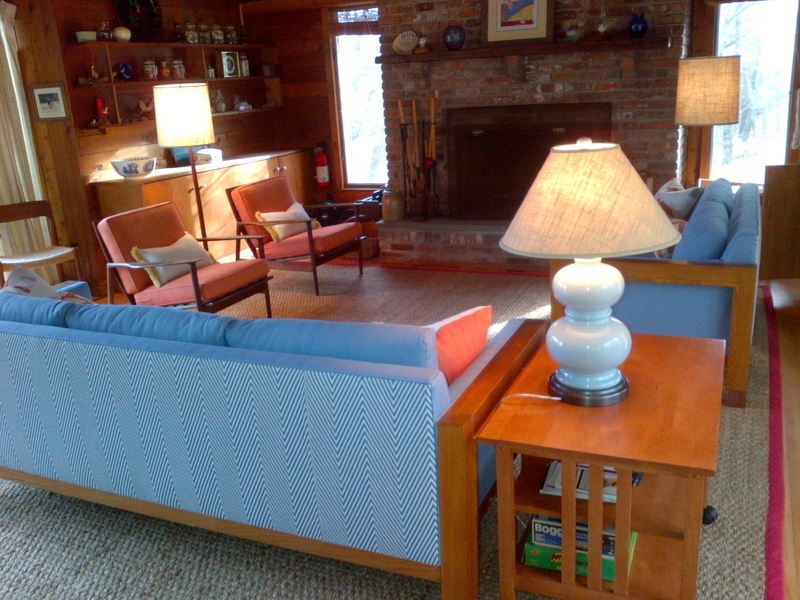 The couches got a blue and white Thom Filicia stripe on the back and the rest is a herringbone blue solid from Kravet. 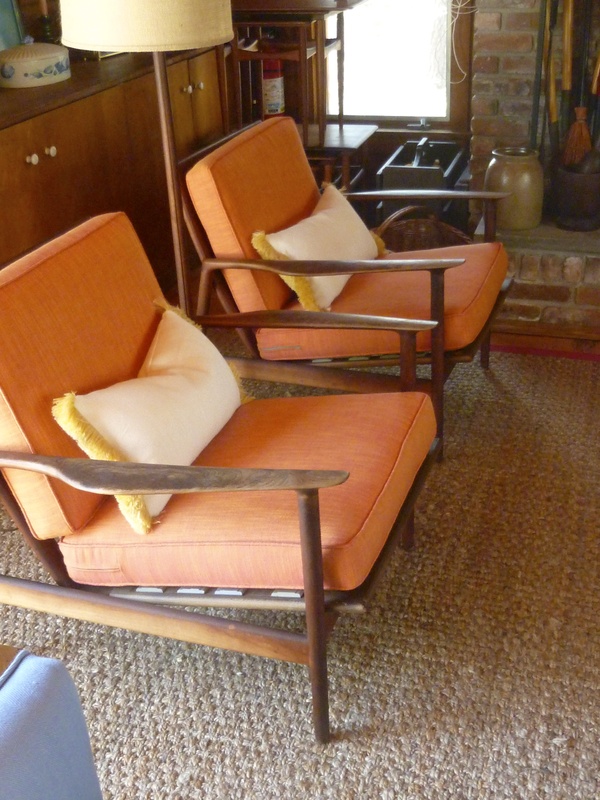 The new orange chairs look adorable with the cream pillows. 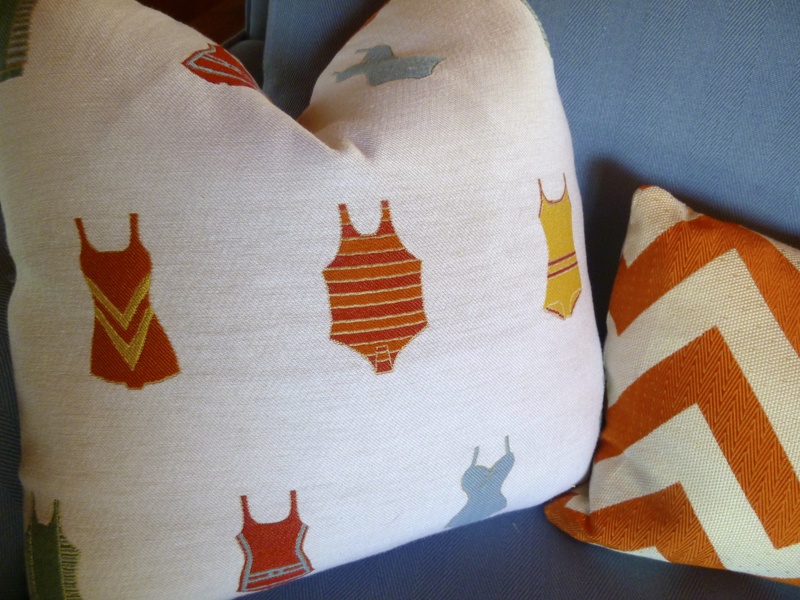 The bathing suit and chevron pillows are great together on the blue couches. 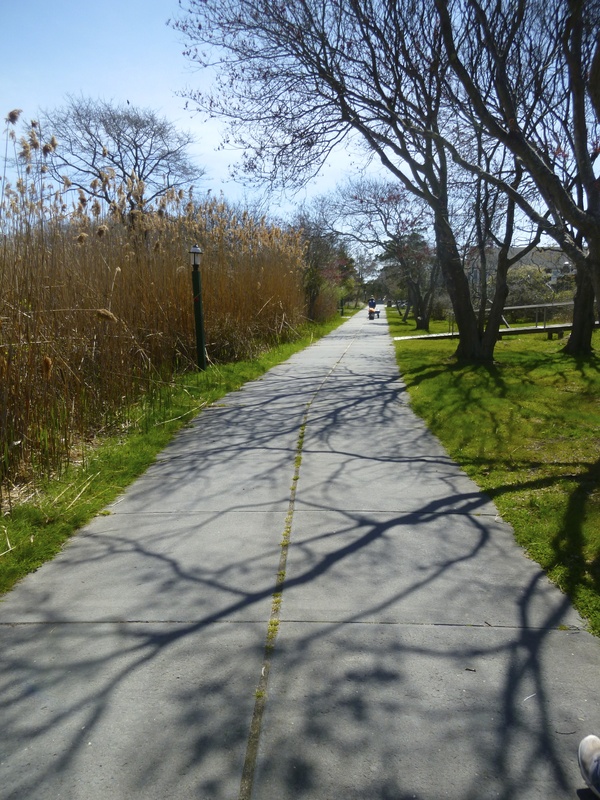 Time for a quick walk to get lunch. The day could not be more gorgeous! We worked hard getting everything set up, but I think she was happy. And her husband was too! 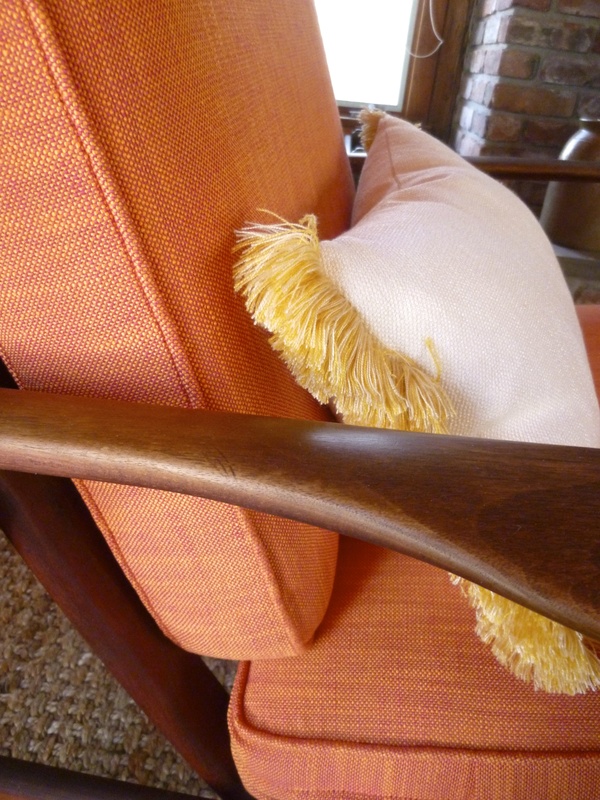 The beautiful Scandanavian furniture popped with the new fabrics. The feel was beachy and fresh. We didn’t change things too much so everyone would feel right at home when they got there Memorial Day weekend! 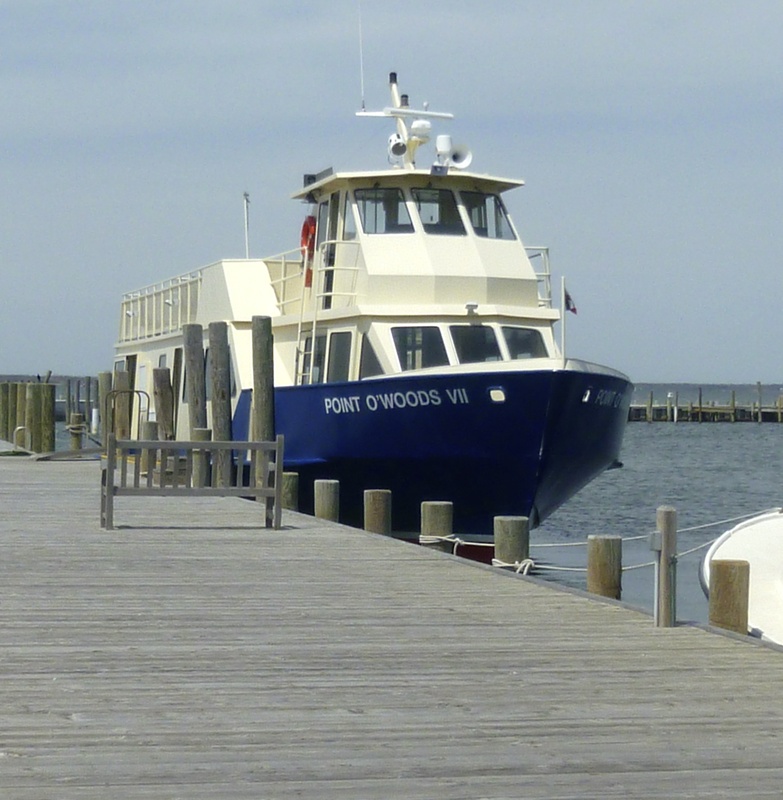 Perfect for Fire Island! Great job. Thank you! 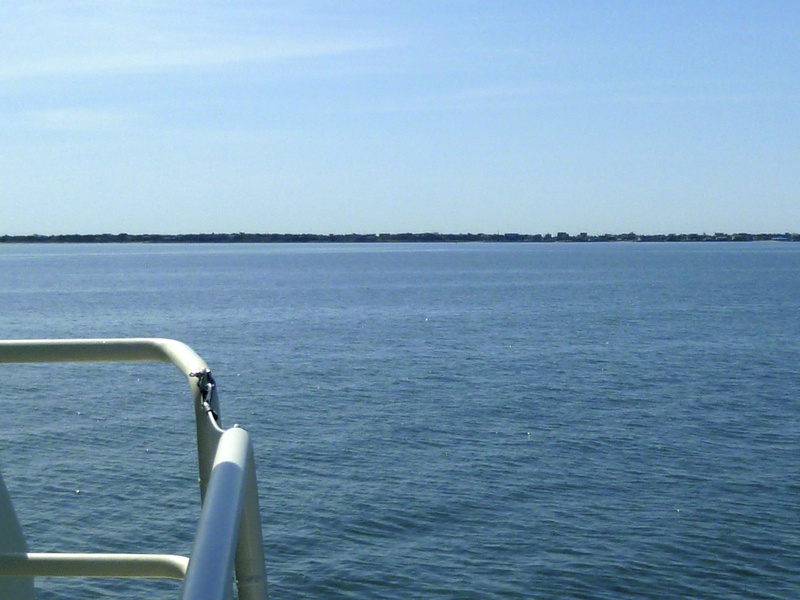 Fire Island is a gem. So fun and crisp! Well done you! 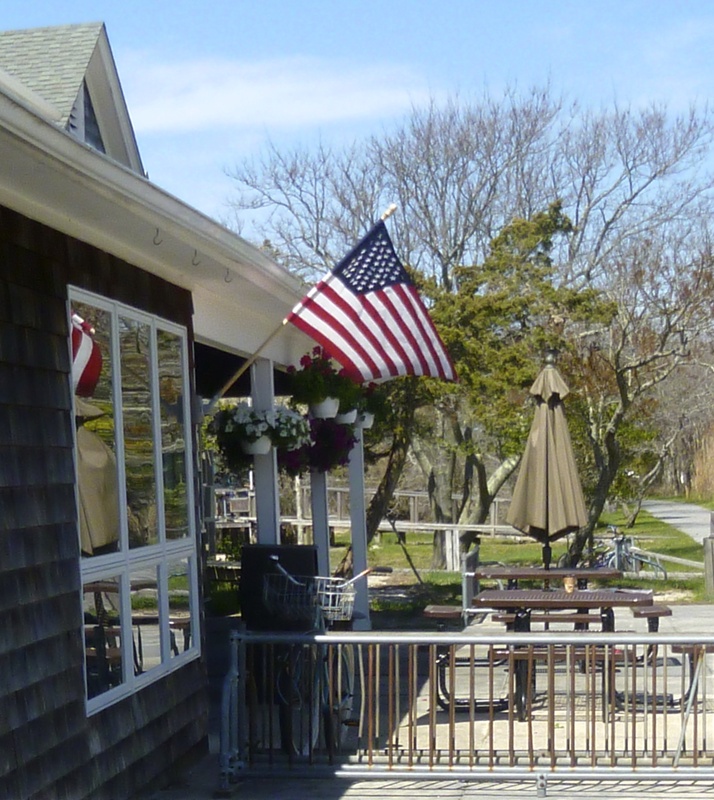 Hmm – guessing Point O Woods from the grocery/ice cream shop!?!?!? You are one sharp cookie!